Following the successful running of the East Coast Racing Festival back in September, the club is also hosting the MCI Championship awards this weekend. 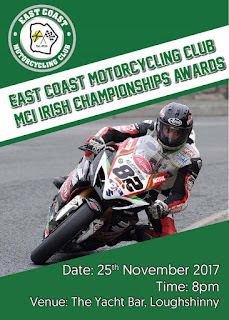 Awards for all championships north and south will be presented on the night and large crowds are expected. Expected on the night is the recently returned Macau GP entrant Derek Sheils. 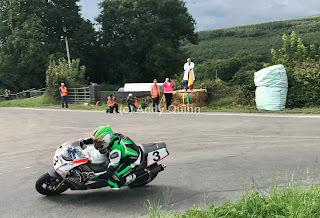 Also present will be multiple winner Derek McGee who came back sensationally to the Killalane track after an Ulster GP injury. Making the journey all the way from Ballymoney also to attend is 2-stroke road wizard Gary Dunlop. The event takes place at the Yacht bar in Loughshinny this Saturday the 25th from 8pm onwards. Well done all award winners, we hope a successful night is had by all.